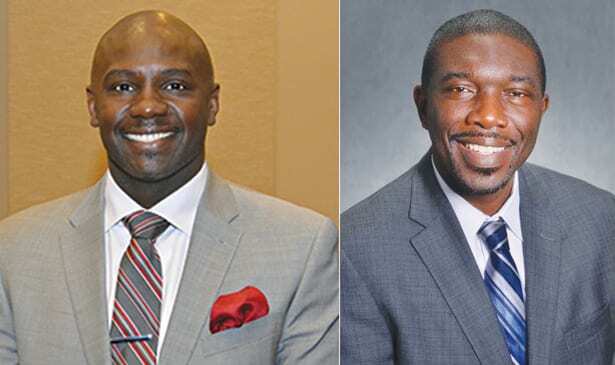 NASHVILLE, TN (TSU News Service) — Retired NFL athlete Randy Fuller and Metro Nashville Public Schools Superintendent Shawn Joseph will speak to hundreds of area high school students at a free college prep workshop at TSU scheduled for Saturday, Nov. 18. Sponsored by Omega Psi Phi Fraternity, Gamma Phi Chapter in association with TSU, REALSPORTS Leadership Academy and Belmont University, the workshop will kick-off at 8:30 a.m. in the Robert N. Murrell Forum. The deadline for registration to attend the college prep workshop at Tennessee State University is Nov. 10. For more information, visit http://bit.ly/2hssd1Z . He said 9th and 10th graders will attend a session on the importance of college, the college path curriculum, good study habits and time management. Eleventh and 12th graders will explore the college path curriculum, improving GPAs, ACT PREP, ACT test scores, and the Gamma Phi Scholarship. Gamma Phi offers four $2,000 scholarships to male and female students who are freshmen entering college for the first time. Fuller, a TSU alumnus who spent six years in the NFL, played in 1996 Super Bowl with the Pittsburg Steelers and the 1999 Super Bowl with the Atlanta Falcons. He is remembered by many for breaking up a “Hail Mary” pass during the closing seconds of the AFC championship game in 1996 that secured the Steelers trip to the Super Bowl. During an interview published in February by Sports & Entertainment Nashville, Fuller credited TSU’s staff and coaches for his successful transition into the NFL. Fuller currently works for Timberline Knolls Residential Treatment Center which offers an environment for women ages 12 and older who struggles with eating disorders, substance abuse, mood disorders, trauma and co-occurring disorders. Barbara Murrell is the founder of REALSPORT Leadership Academy, a pre-college summer program that gives student athletes a head start for college through workshops and activities designed to promote personal, cultural and social development. She said the workshop is one way of helping students become successful in college. “We don’t want to just get these young people in college. We want them to be successful when they get there,” Murrell said. “We do time management and study skill preparation. We help them with the ACT. We do life-skill development. We help them to build their self-confidence and more,” she added. Dr. Shawn Joseph serves 86,000 students in urban, rural, and suburban communities. Since taking over as director in July 2016, his administration has provided more targeted literacy instruction, developed new K-12 literacy curricula aligned to the Tennessee standards, expanded ACT support in high schools, and funded all high school advanced coursework and career and technical education fees for all students.